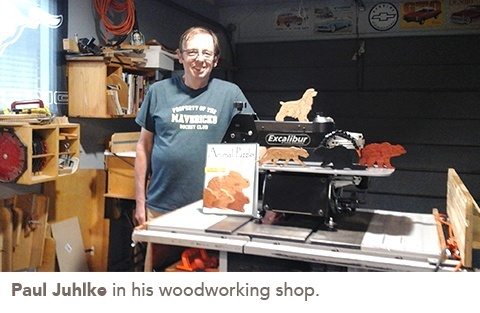 Paul Juhlke, environmental services manager at Lincoln Park Retirement Residence, has been using his woodworking skills to forge connections between residents. Sculpted Canadian Geese perch on the fence, prepared to take flight. In the garden, squirrels reach for the little door that grants them a peanut. 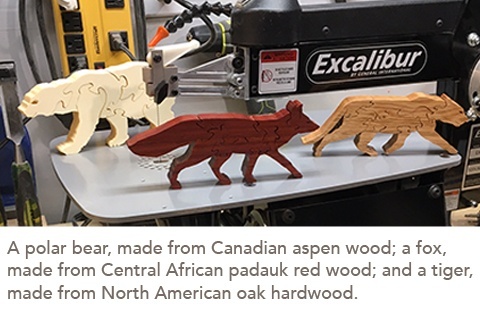 These wood carvings were crafted by Paul Juhlke, environmental services manager at Lincoln Park Retirement Residence in Grimsby. Recently, Paul’s been using his skills to do more than add magic to Lincoln Park; he’s been using them to form bonds with residents. Residents have developed a growing interest in Paul’s work. “When residents move here, they leave some of their hobbies behind,” Paul says. “Woodworking sparks an interest they might have had a long time ago.” Now, he and the residents ‘talk shop’ about the tools and the craft. “I’ve brought in a lot of projects and show it off to ‘the guys’ that sit together in the dining room." Paul says that although he has always enjoyed spending time with residents, now they have “a whole new way to connect.” He plans to host a woodworking demonstration soon, which he hopes will bring them even closer together.